Living in this area may mean you accept everything around you without looking further. Enjoy a staycation and discover what you can do on the many lakes in the area or what you can learn by touring a historical home. These destinations and activities aren’t new; you may have just forgotten what’s hiding in plain sight. 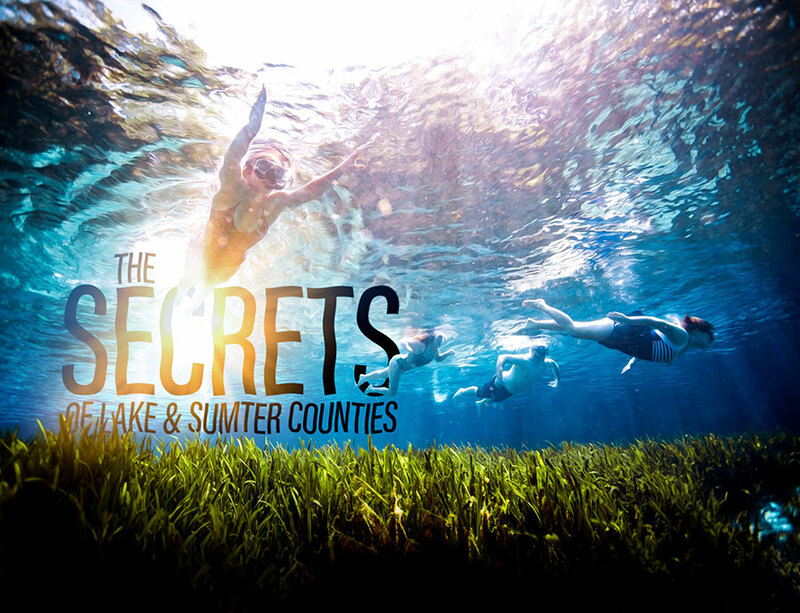 Take a look at the hidden gems in Lake and Sumter counties. Recreational opportunities await visitors to Alexander Springs. If you’re an avid diving enthusiast, forget about traveling to the Cayman Islands, Cozumel, or the Great Barrier Reef to enjoy an underwater adrenaline rush. 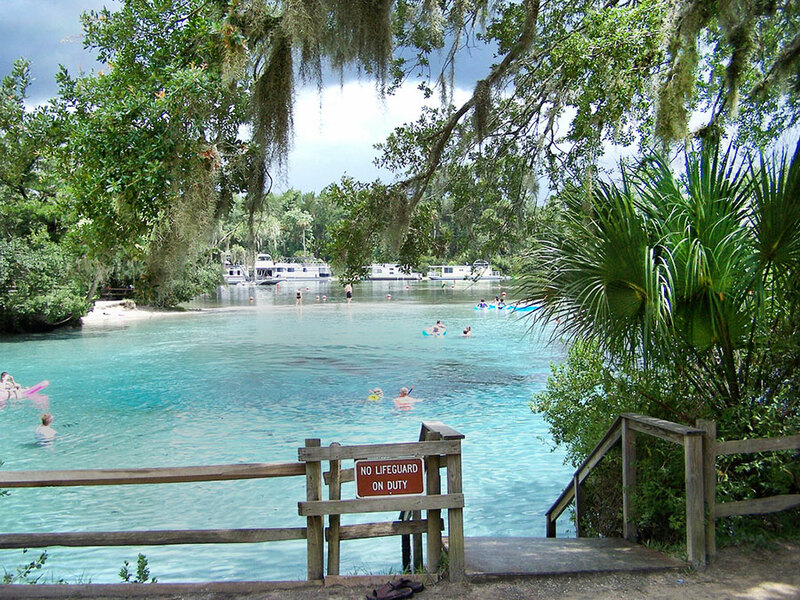 Alexander Springs Recreation Area, located in the Ocala National Forest near Astor, offers year-round diving opportunities in its crystalline waters. Think of it as Mother Nature’s version of an outdoor swimming pool. Bluegill, catfish, turtles, kelp-like vegetation, and rock outcroppings are some of the beautiful sights that await novice and experienced divers alike. “The water is crystal clear, so visibility is unlimited,” says Judy Holdrem, who serves as the state park’s area manager. Alexander Springs isn’t known only to locals. Divers from as far away as Belgium, France, and Germany have visited to enjoy its peaceful and serene underwater world. Because there are no complex cave systems to navigate, the spring is an ideal destination for beginners looking to descend to new depths. In fact, Alexander Springs is a popular site for dive training. Divers who visit Alexander Springs must be certified and show proof of certification. Alexander Springs is one of only 27 first-magnitude springs in Florida, meaning it gushes 100 gallons of water per cubic second from under the ground. Water temperature remains 72 degrees year-round. In addition to diving, visitors can hike the Timucuan Trail, a 0.9-mile loop featuring two observation decks offering beautiful views of the spring. Other attractions include a 68-site campground, a large picnic area, and a sand-beach shoreline where sunbathers can work on the perfect tan. Lake Louisa Events & Resort is no Mickey Mouse operation. When David and Sherri Canther scouted properties to start a vacation rentals by owner (VRBO) business, they wanted a spot that was centrally located yet private, away from the Disney crowds. 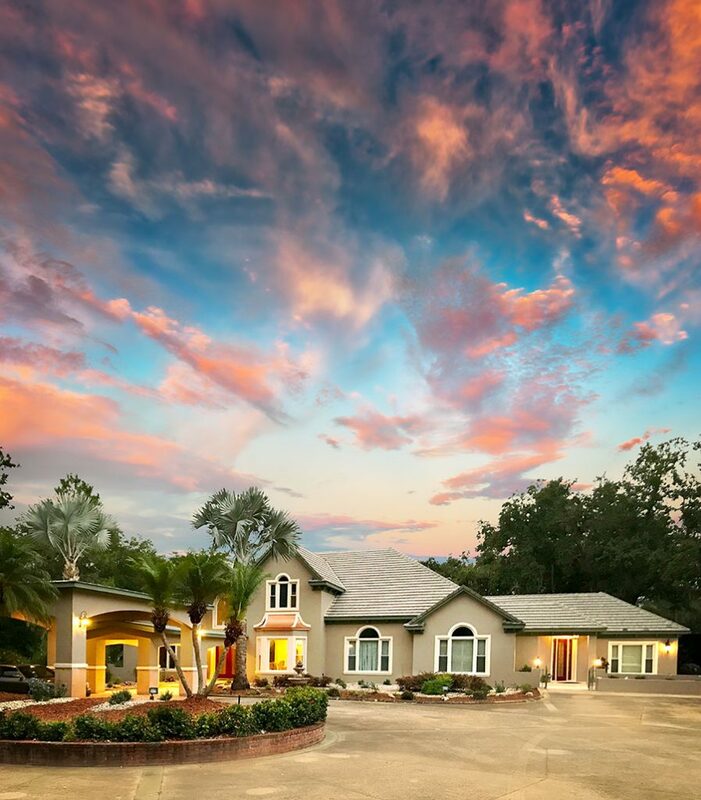 They found a mansion in foreclosure on Lake Louisa and gave it a complete renovation. 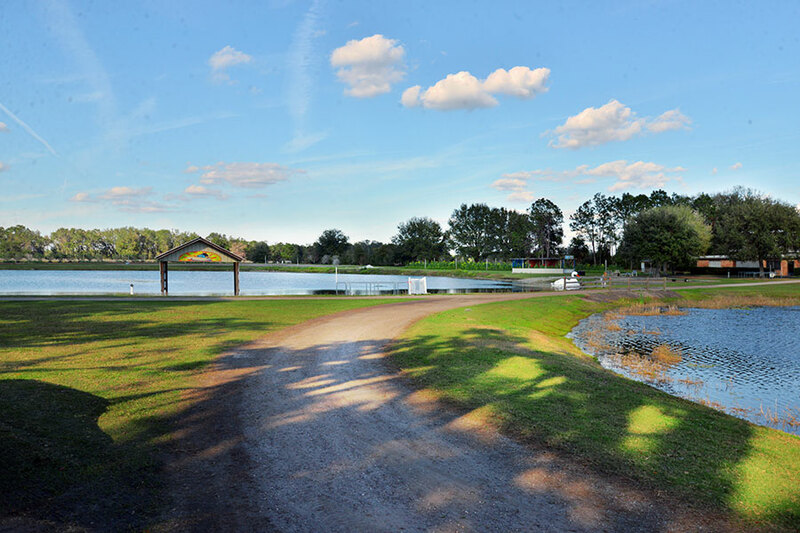 The result is Lake Louisa Events & Resort, a 54-acre site in Clermont that opened in 2018. The couple formerly lived in Lake County before moving to Tennessee, where Sherri works as a health-care professional while David, a longtime pastor, runs the business. The resort, which adjoins Lake Louisa State Park, provides beautiful views and glittering sunsets in a unique locale offering both activities and privacy, homey amenities and the great outdoors. The resort also hosts weddings, conferences, corporate events, and family gatherings. An 11,000-square-foot villa contains eight bedrooms, living and dining rooms, and four kitchens. 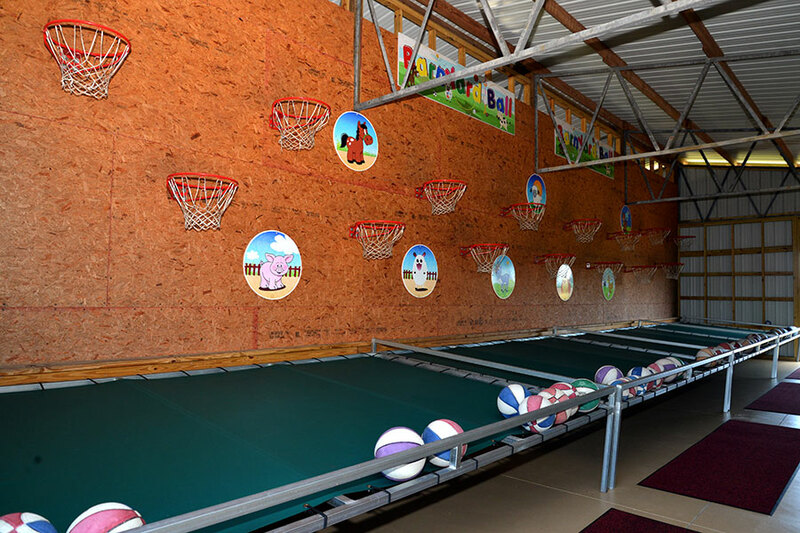 In the game room, guests can play pool, ping-pong, and air hockey, or watch the 55-inch TV. 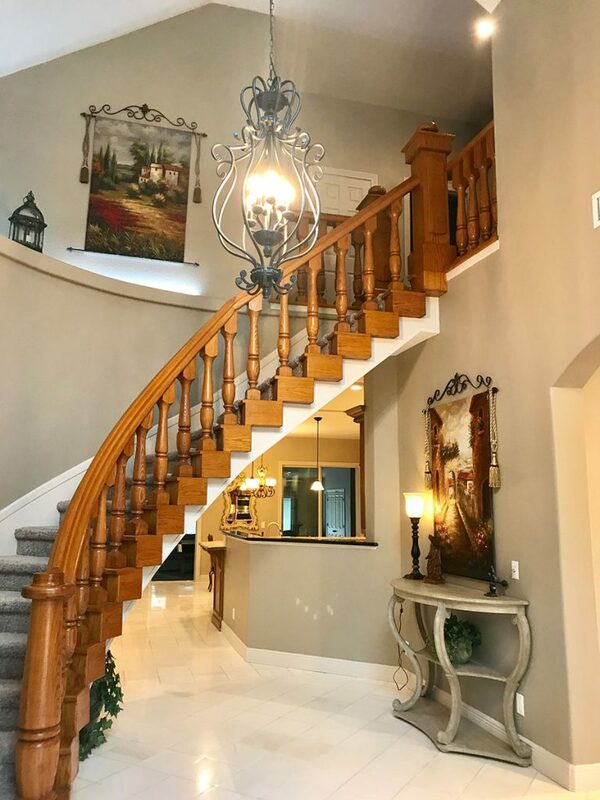 The property has multiple areas for relaxation, a boardwalk for nature lovers, and an Olympic-size, screened-in sport pool with a pool house. 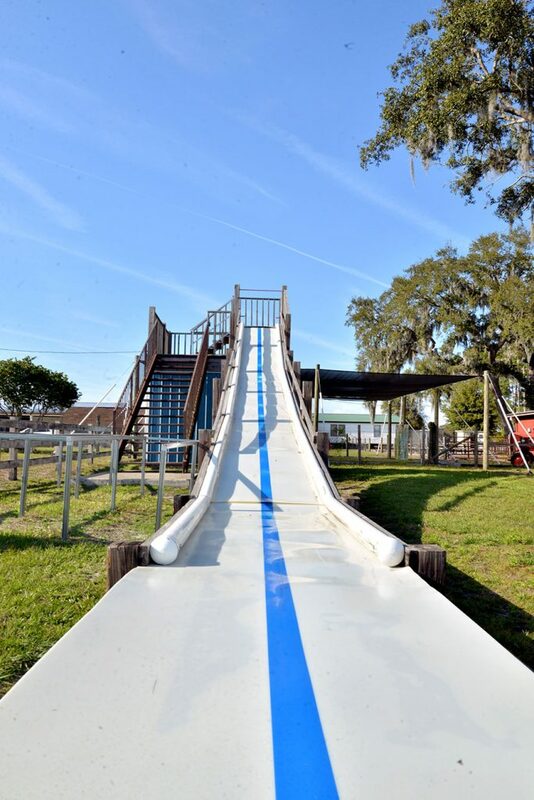 Guests can ride an all-terrain vehicle or Swamp Buggy, practice at a private shooting range, rent bikes at the park, or go fishing, boating, kayaking, and Jet-Skiing on the lake. David sees a varied clientele, but most visitors have one thing in common: the need to relax. “People want their batteries recharged, they want to get the peace and tranquility away from others, and feel you’re in your own world,” he says. 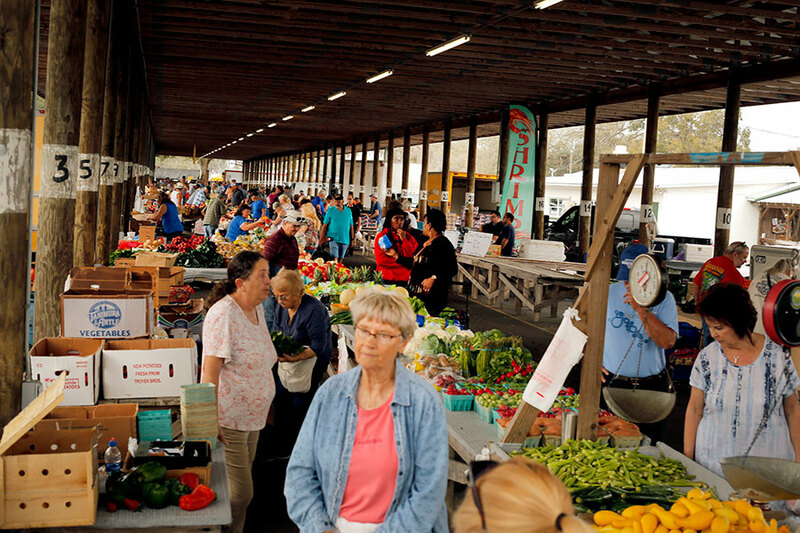 Sumter County Farmers’ Market in Webster is a unique ‘go-to’ place. Massive crowds flock to Sumter County Farmers’ Market in Webster from 6am-2pm Mondays to buy everything imaginable, including a wide array of fresh produce, jewelry, sunglasses, crafts, leather goods, tools, cigars, windchimes, toys, collectibles, antiques, plants, and more on the market’s 40-acre grounds. The small city of Webster proudly takes claim to being home to the oldest and largest flea market in the Sunshine State. Vendor David Rowley, of Mount Dora, enjoys interacting with the market crowd as he demonstrates his cleaning solution, Incredible Suds, on a heavily soiled carpet. The market has been a popular attraction for more than eight decades. It was established and chartered in 1937 by local farmers to sell vegetables and cattle, according to the market’s website. Initially, farm families sold and traded “junk” items that they no longer needed. In the early 1950s, the market expanded to include new merchandise. 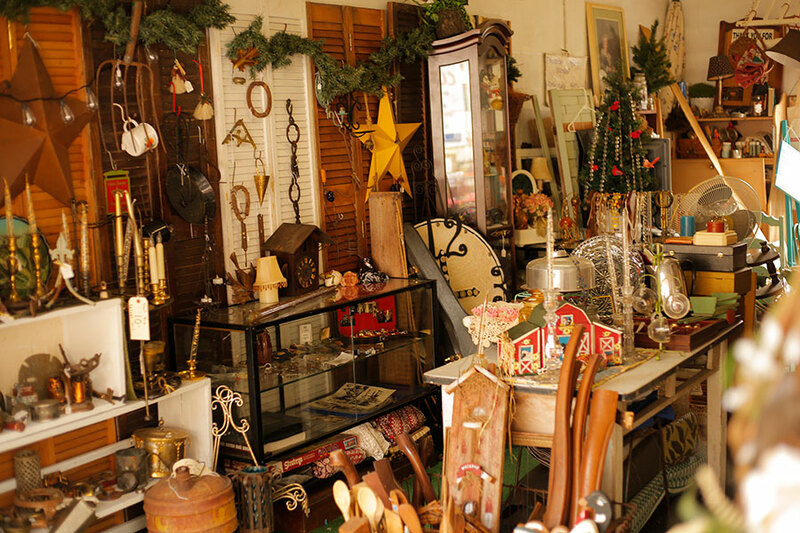 An antique mall on the grounds has more than 80 stalls, along with a beer garden and concessions area. Visitors will find some of the best country-style, Southern home cooking that is served buffet-style at the Farmers’ Market Restaurant on the grounds. The restaurant truly is a hidden gem, and is open daily for breakfast, lunch, and dinner. A reminder: the flea market is open only on Mondays. You’ll find cows, chickens, and goats…and also a cougar and a Patagonian mara. There’s a big farm tucked away on a country road, well, maybe not fully country, but a backroad. Uncle Donald’s Farm is a place where schoolkids and tourists can see a chicken that isn’t wrapped in plastic at a supermarket. Instead of an alarm, Donna Morris has guard dogs, but she also has a guard goose that honks loudly when people approach the entrance to the farm. 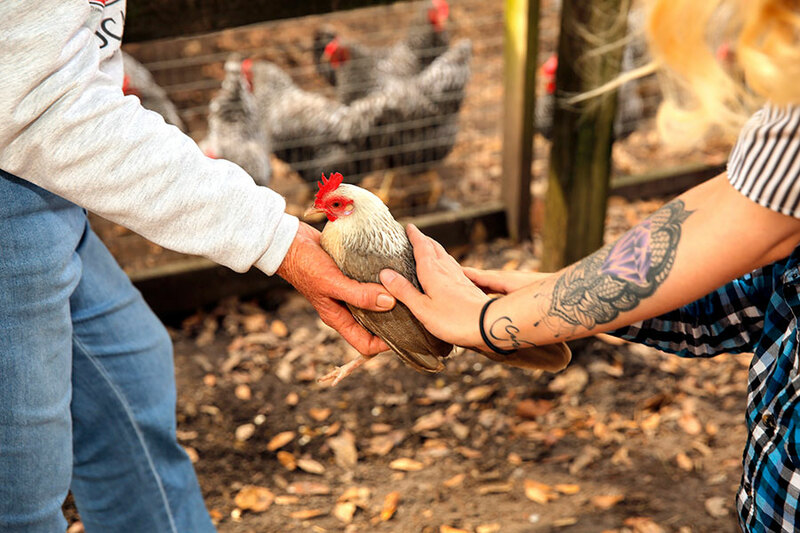 Owned by Donna and her two sisters, Jeanette and Beth Morris, the farm is a great place for a family adventure. Something the sisters are proud of is their part in the Livestock Conservancy, which protects endangered breeds of livestock and poultry. The sisters now have second- and third-generation visitors bringing children and grandchildren. “The funny thing is, adults are the ones who don’t know what chickens look like,” Donna says with a laugh. Among the amazing animals residing on the beautiful farm are a red-tailed hawk, a peacock that isn’t shy about displaying its glorious feathers, and silkie chickens, which look like furry little birds. The animals provide safety, too. The llamas keep stray dogs and coyotes from bothering the small animals. 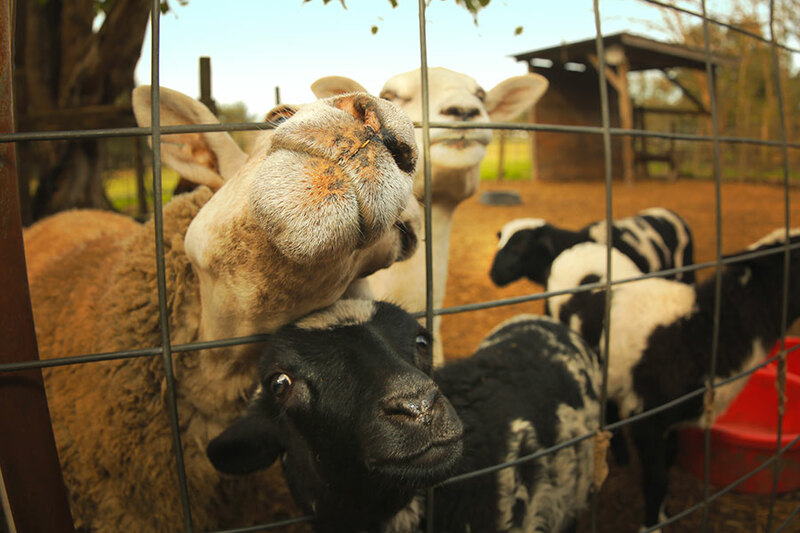 There are also sheep and lambs that are native to Florida because they came with the Spaniards. Admission is $11.75 for adults; $10.75 for children and seniors, which includes a farm-tour hayride. The farm is open from 10am-4pm Tuesday-Saturday, and noon-4pm Sunday at 2713 Griffin Ave., Lady Lake. A picnic area is available (no alcohol allowed). Webster takes claim as the only city in Florida with a Bee City USA designation. Webster is building condos—not for people, but to attract bees. Small drilled holes in untreated wood blocks serve as “condos,” a nesting habitat for bees. City officials and residents have been making the condos and placing them in their yards as part of efforts to be a pollinator-friendly city. “Bees can go in there and build their little hotel rooms. 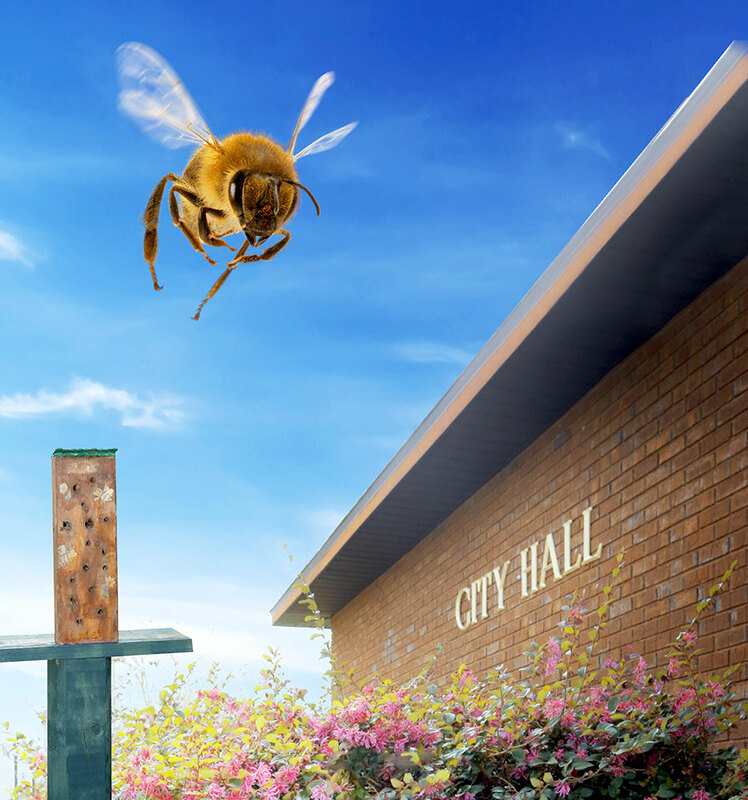 The hole has to be a certain size, and the bees know it’s their condos,” says Pam Arnold, assistant city clerk, who is proud that Webster became the first Florida city to receive a Bee City USA designation. Former Webster Councilman Michael Harris became concerned over the decline of bees and other pollinators due to habitat losses and the use of pesticides. “I was interested because the need is so important,” Michael says, noting the pollinator species of honey bees, native bees, birds, bats, and butterflies are essential partners of farmers in producing food, and vital in keeping fruits, nuts, and vegetables in our diets. Webster takes part in observing National Pollinator Week the third week of June, and the city will host a “Bee Day” this spring filled with educational activities, bee vendors, a parade, and community pollinator habitat plantings. “We’ve had Congressman Daniel Webster’s staff come and help build bee condos,” says Pam, while Michael adds that he hopes more cities become part of the Bee City USA movement. Silver Glen Springs is a cool destination. If the tiny community of Astor is known as “The Jewel of the St. Johns River,” then Silver Glen Springs is the gem within the gem. Silver Glen Springs Recreation Area is a short drive or boat ride from Astor, tucked away in the northeast corner of Lake County about six miles north of State Road 40 in the Ocala National Forest. Visitors rave about the springs’ crystal-clear blue water and beautiful scenery. The water is one of the best in ecological quality among Florida’s 600 springs, according to the U.S. Department of Agriculture Forest Service. Silver Glen Springs stays 72 degrees year-round, which makes it the occasional resting spot of manatees in winter, and a cool refuge for striped bass in summer, the Florida Fish and Wildlife Conservation Commission website states. The springs attract out-of-state travelers and locals alike. “On a hot day, I like going to the springs and just relaxing,” says Sarah Moore, general manager of Castaways on the River fishing camp in Astor. Visitors can make a day out of a trip to Silver Glen by participating in swimming, snorkeling, hiking, canoeing, and kayaking. 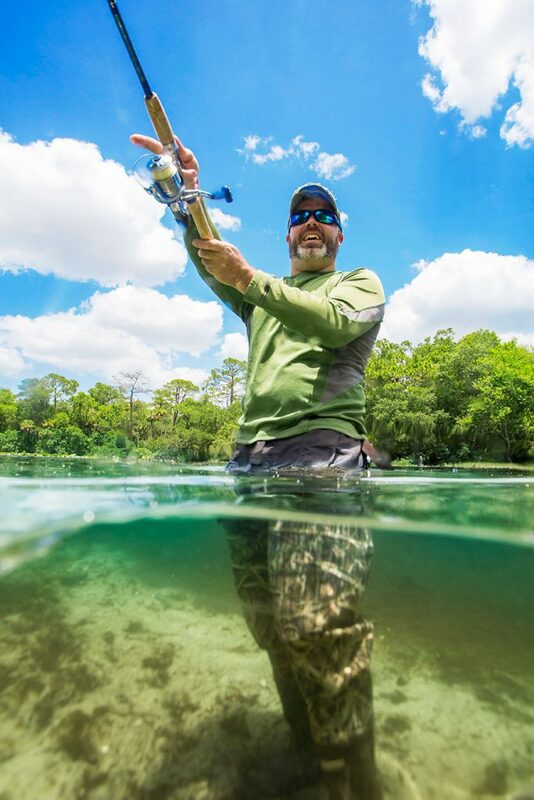 The springs run out into Lake George, a popular fishing hole to reel in largemouth bass, bluegill, redear sunfish, black crappie, and brown bullhead, the FWC says. 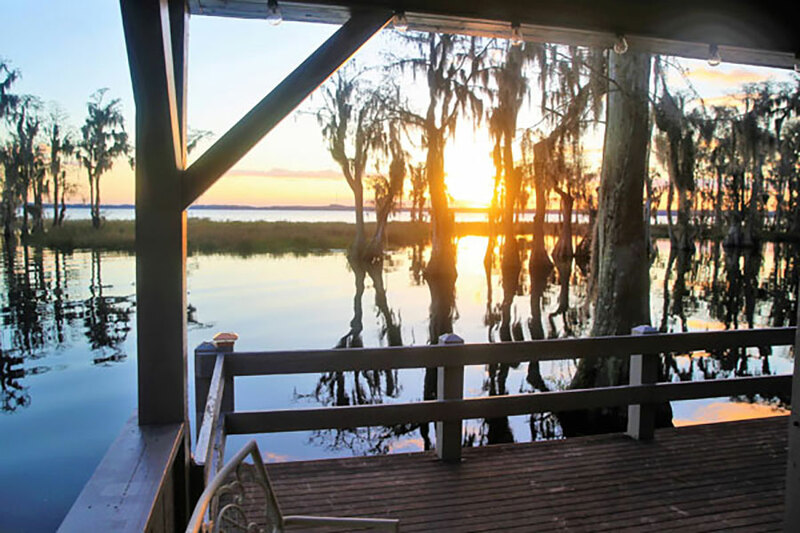 Outdoors lovers can stay in the area long-term and explore Ocala National Forest, Lake George State Forest, and Lake Woodruff National Wildlife Refuge. Castaways on the River, Astor Landing RV Resort & Marina, and St. Johns River Campground are ideal spots for parking a recreational vehicle or docking a boat. Silver Glen Springs attracts snowbirds and vacationers from January through April, and it’s also especially busy on summer weekends, so plan accordingly. 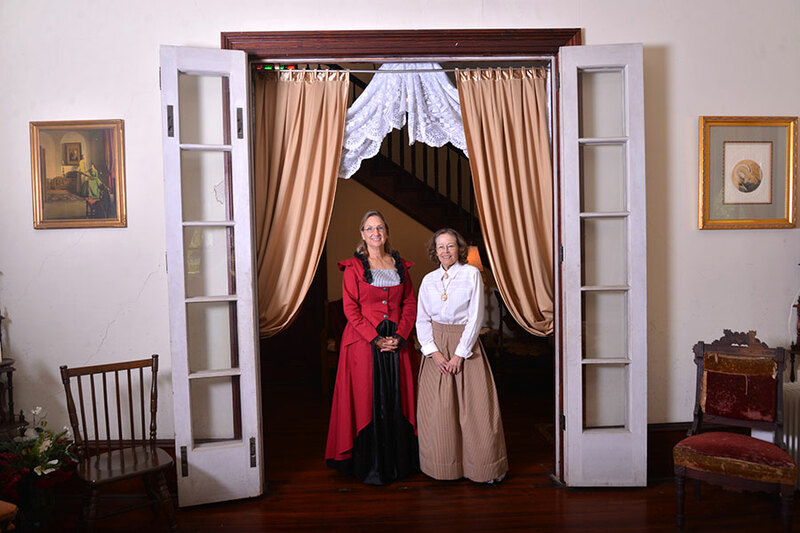 The Clermont Historic Village Museum shares the lives of area pioneers. Amid the bustling development in Clermont is a reminder of the origins of the city and what life used to be like. 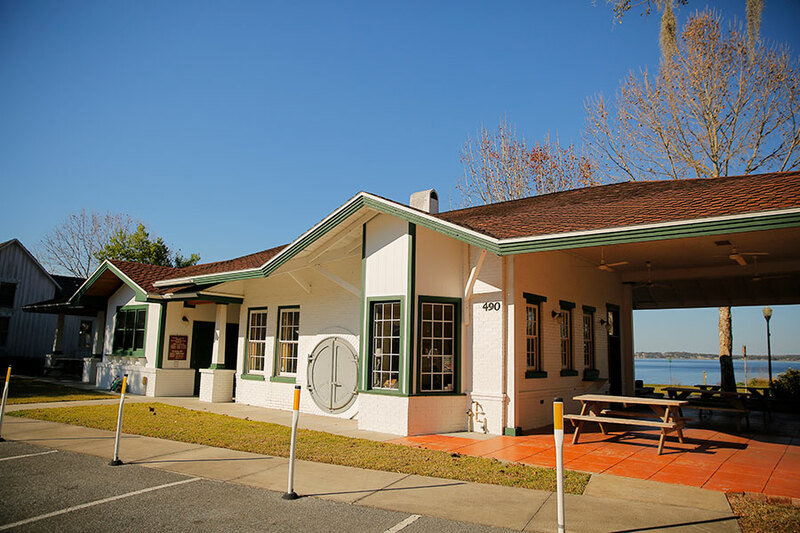 The Clermont Historic Village Museum, at 490 West Ave. on the shores of Lake Minneola, provides a glimpse into the area’s rich history. Walking tours and guided tours cover the several historical buildings on campus. “It’s a good cross-section of the beginnings of the city and the rest of the area,” says Jim Briggs, president of the South Lake County Historical Society, a nonprofit organization that operates the village. 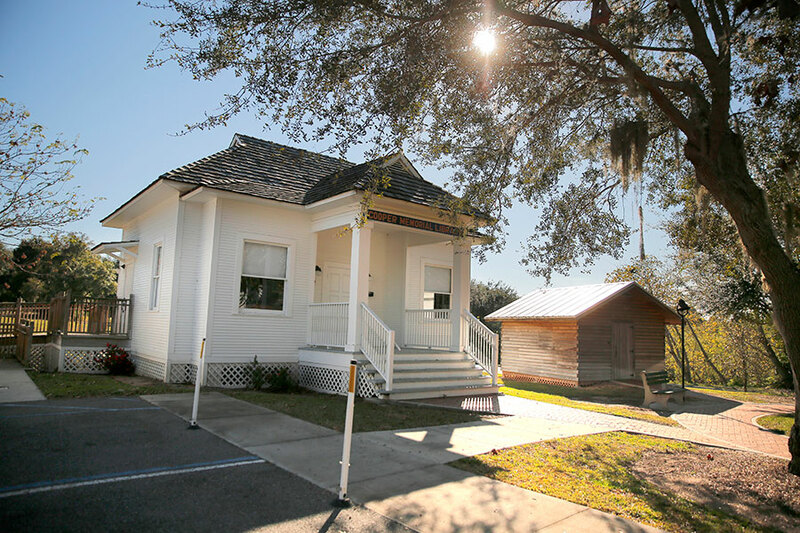 The buildings include many “firsts,” such as an original Quonset hut that houses a World War II Museum; the area’s first library, Cooper Memorial, built in 1914; a Train Depot built around 1925 that still stands in its original location; and Herring Hooks Schoolhouse, a replica of an 1881 one-room school that Momma Hooks transformed from a hunting cabin, Jim says. 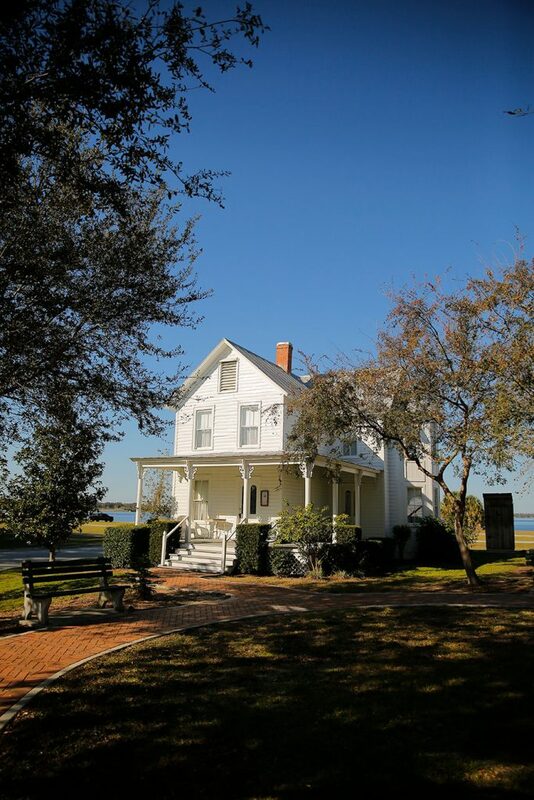 The Kern House was built around 1885 on Montrose Street by Alexander Kern, a New Jersey farmer and one of the founders of Clermont who constructed his house in a northeastern style, Jim says. The Townsend house, built around 1895 on State Road 50, was home to the first African-American family to settle in the area. The village is open to the public from 1-3pm Friday and 1-4pm Saturday-Sunday. Group and children’s tours can be arranged at other times. Admission is free; a $2 donation is requested for guided tours. Visit clermontvillage.org. Scenic Sugarloaf Mountain is a natural high. Mountaintop views, roller-coaster hills, and rugged terrain are not topographical features commonly associated with Lake County, but they’re out there. 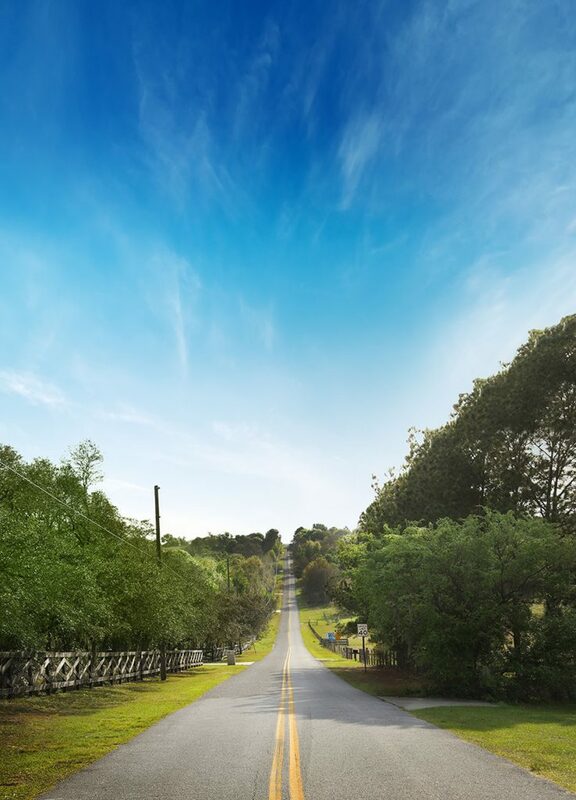 OK, no one’s going to need oxygen while driving up the road, but Sugarloaf Mountain near Ferndale is the highest point in peninsular Florida at 312 feet above sea level, according to greenmountainbyway.org. Sugarloaf Mountain Road, part of the Green Mountain Scenic Byway, can be accessed heading east off County Road 561 or north from County Road 561A. At the peak, residents and motorists get panoramic views of the wooded landscape and Lake Apopka. The rural area includes horse farms and residences, and just to the east on County Road 455 is the Green Mountain Scenic Overlook and Trailhead and the Ferndale nature preserve. Recreational opportunities include biking, hiking, and sightseeing. Sugarloaf attracts hundreds of cyclists each weekend, and many races, triathlons, and group rides include the mountain road on the routes. The steep climb up a 14-percent grade poses a stiff challenge, says Tim Molyneaux, a cyclist and former Clermont resident who promotes races in Lake County and across the Southeast for TopView Sports, based in Georgia. He also belongs to the Atlantic Shores Velo USA Cycling club, which has members from Clermont who regularly ride Sugarloaf. The “joy of cycling,” Tim says, is that cyclists can ride Sugarloaf with any type of bike they have: road, mountain, gravel, hybrid. Cyclists from all over the country come to Sugarloaf, he says. And while it’s a “molehill” compared to say, the countryside along the Tour de France, the difficulty is relative depending on the speed and intensity with which a cyclist attacks the hill. 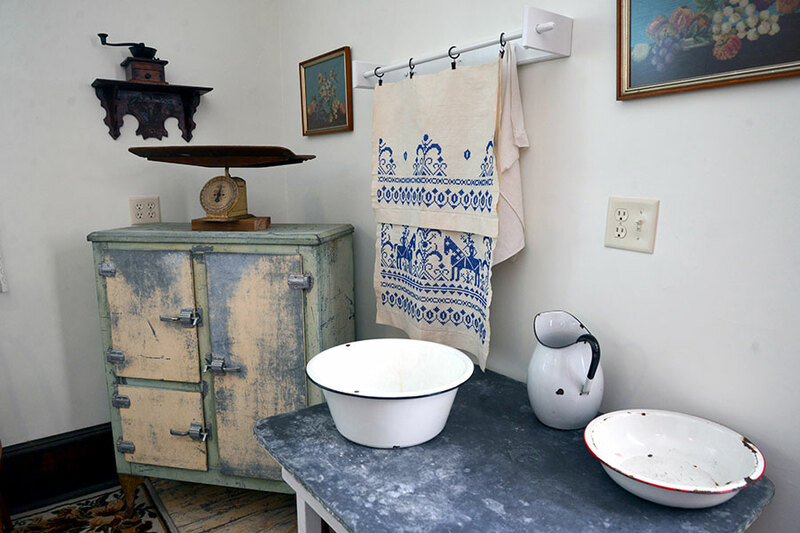 A house built in 1895 takes you back in time. 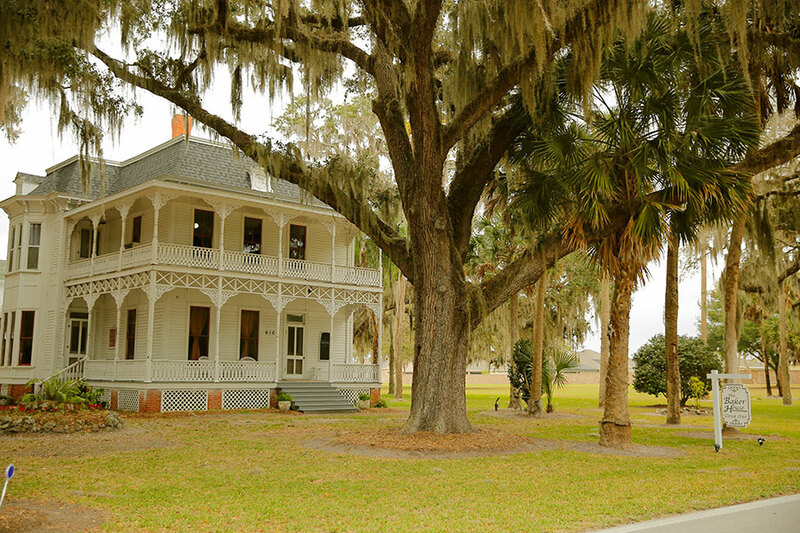 When David Hume Baker and his wife, Mary, moved from Kentucky to Sumter County, they lived in a small Cracker house until their majestic home was built. Today, the Baker House, 6106 County Road 44A in Wildwood, still stands and is open for a variety of activities. Dennis Andrews, manager of parks and recreation for Wildwood, oversees the work of the dedicated volunteers who not only conduct tours, but also help with repairs and painting when possible. “Our goal is to put on different functions and events to acquire funds to keep the house going,” he says. David and Laurie Bailey have been volunteers for about four years. They lead historical tours dressed in period clothing. “All the volunteers make the decisions concerning the house, functions, and things to do with money,” David says. Donations and tours keep the repairs and renovations ongoing in the old house, but it’s obviously all done with a love of history. David Baker had successful businesses in Kentucky and Illinois before moving to Florida to raise citrus. He also was a politician—a state senator in Kentucky and then a state senator and representative in Florida. After several freezes destroyed the citrus crop, the Bakers opted for raising cattle, buying land from those who left after the freezes. They were a wealthy family until the stock market crash of 1929. 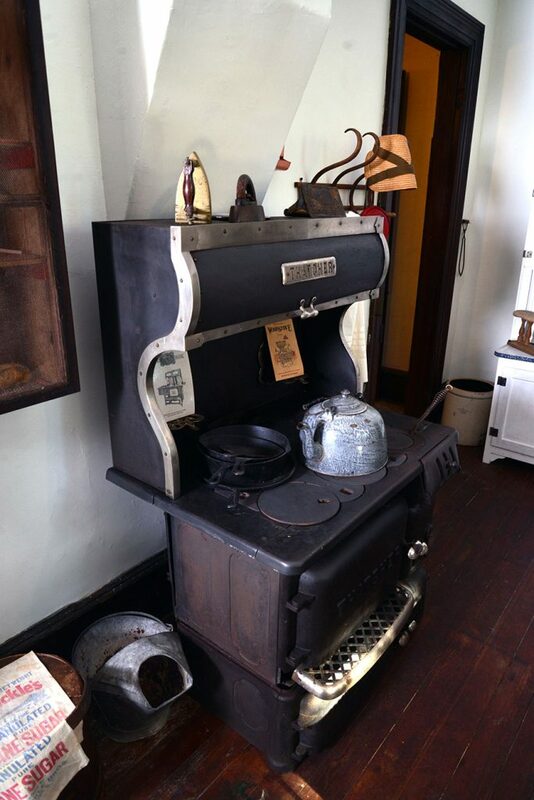 Five generations of Bakers lived in the beautiful home, and some original furniture and other items that belonged to the family are still there. The last Baker born in the house was Carolyn Baker Moore, who is 85 and loves to come by the house to speak with tours. 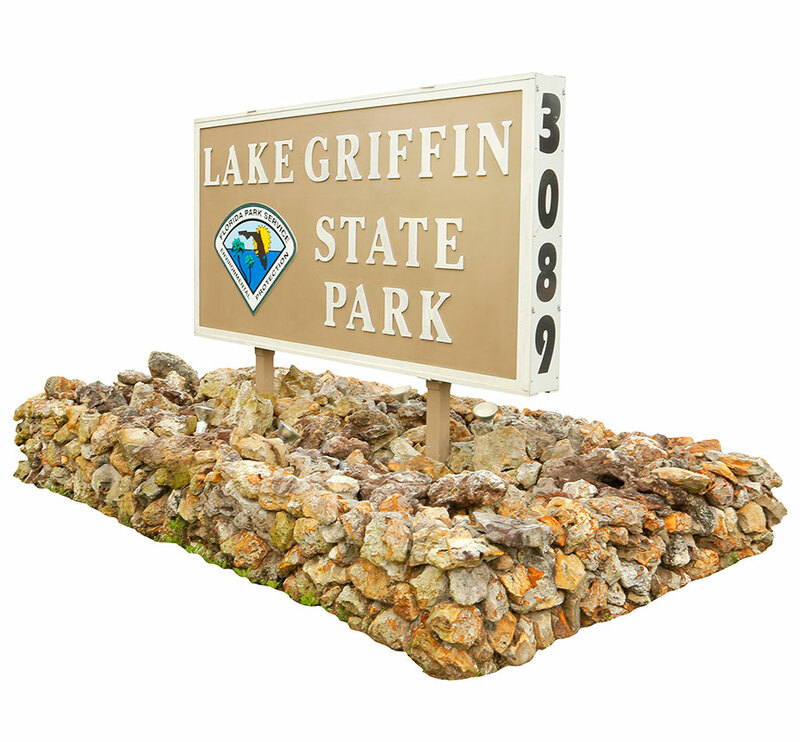 Lake Griffin State Park is waiting to be explored. Lake Griffin State Park is the epitome of a hidden gem. “I’ve talked to people born in Lake County who have never been through our gates,” says Kim Higgins, administrative assistant of the park. Perhaps that’s because the park is located at 3089 U.S. Highway 441 in Fruitland Park. Few may realize one turn off a bustling highway leads to natural wonders. 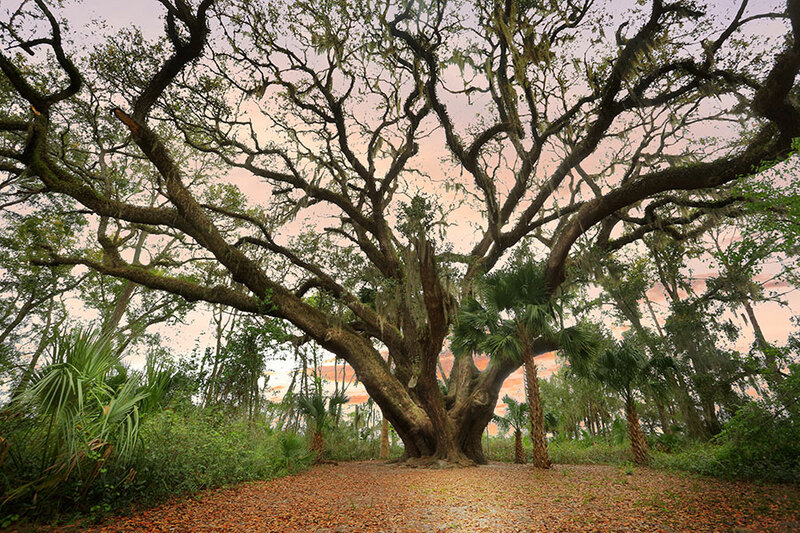 For starters, Lake Griffin State Park is home to Florida’s second-oldest oak tree, estimated to be between 300 and 500 years old. 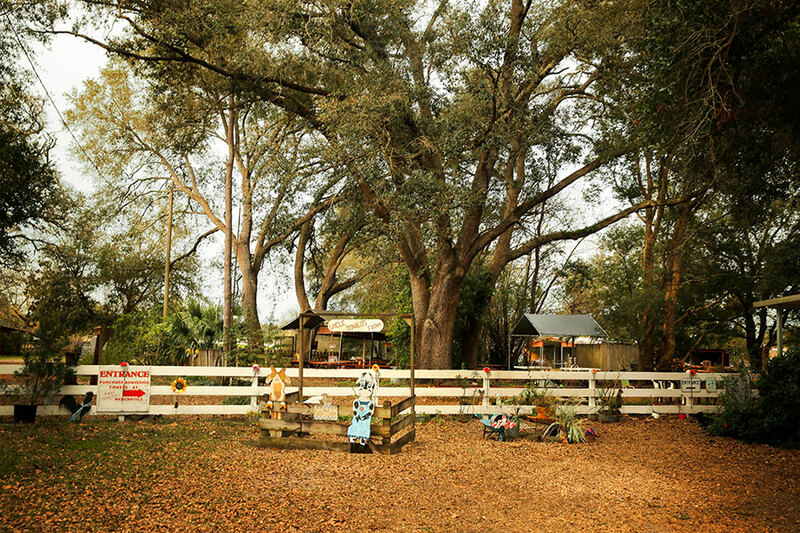 The tree is home to several species of birds, and historians speculate the tree may have been a landmark for Timucua Native Americans who frequented the area before settlement. 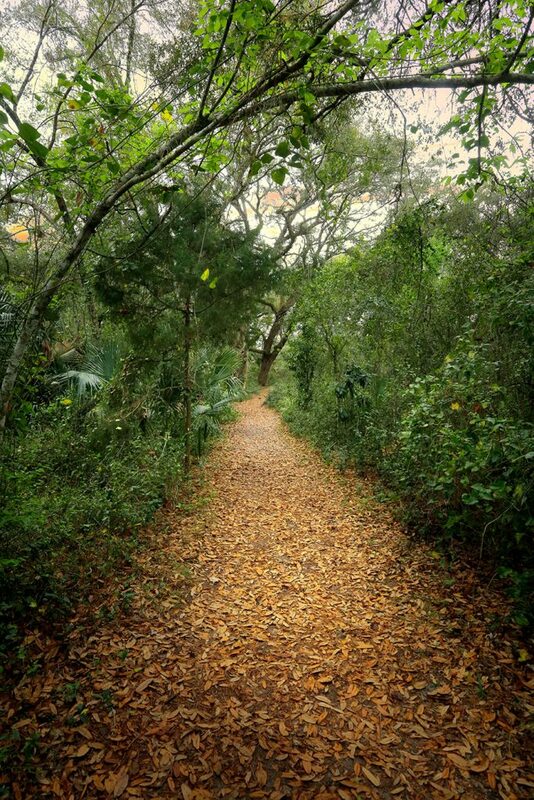 Two trails give hikers an up-close view of Florida’s natural habitats, including swamp and sandhill terrain. Along the way, visitors may see racoons, bobcats, squirrels, opossum, and hawks. Don’t worry about the sizzling summertime heat. Spanish moss-draped oak trees provide adequate shade. Other popular attractions include a guided pontoon boat tour of Dead River Marsh, a tributary of Lake Griffin. It’s as educational as it is fun because guides share interesting facts about Florida’s flora and fauna. The pontoon boat tour lasts a little over an hour and costs $15 per person. Kayak and canoe rentals also are available. Single kayaks cost $10 per hour, and canoes and double kayaks cost $12 per hour. A 40-site campground allows visitors to stay a few nights, while picnic tables and a playground entertain families who come for a day. Stanley Pond Adventure Farm in Astatula is family fun. Stanley Pond Adventure Farm is hopping this month as the 23-acre site at 15426 County Road 48 in Astatula has its Easter Extravaganza with colorful toy-filled Easter eggs for children to find. “We have over 10,000 Easter eggs. It’s a very nice, controlled atmosphere, and we have a hayride that goes along with this. It’s fun for the kids,” says Tricia Merrill, operations manager of the farm that has been open to families and school field trips since 2011. The Easter Extravaganza begins April 6 and is held the first two weekends of the month and also April 20, the day before Easter. 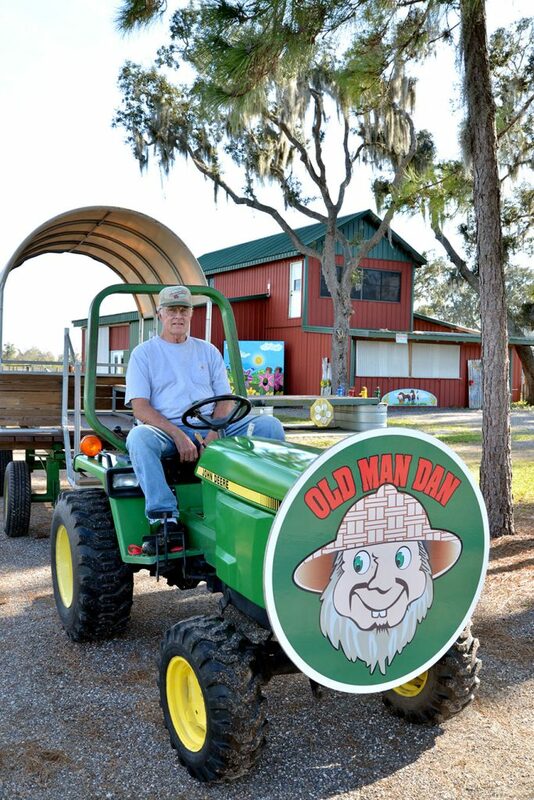 A swan boat ride, along with a fun zone including a jumping pad, slide, tricycles, corn hole, and barnyard ball, are some of the farm’s popular activities. 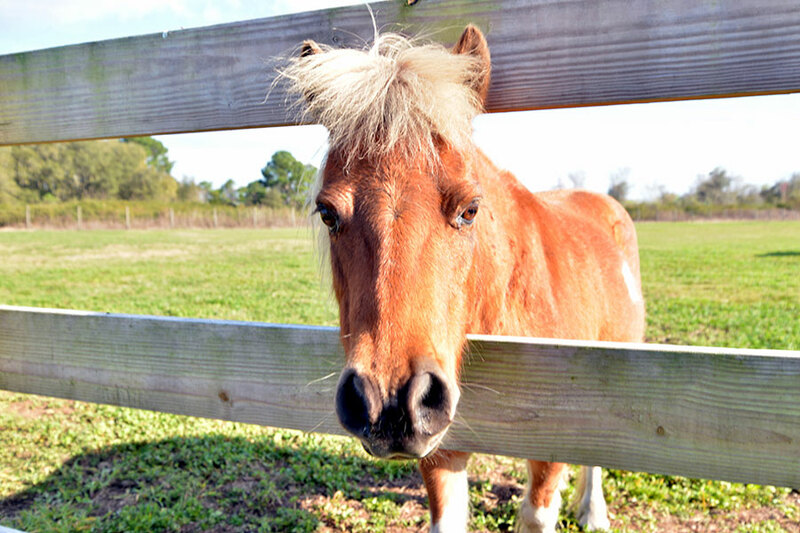 One recent new addition is the farm being open from 1-5pm every Sunday (except holidays). 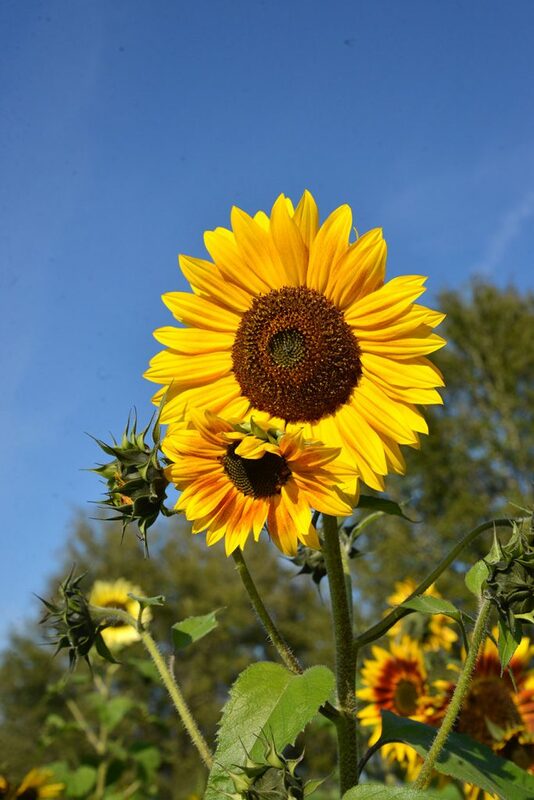 The farm has been a popular site for children’s birthday parties, and it’s also a sunflower U-pick farm with sunflowers available about seven months of the year. “We’ve had engagements done in our sunflowers, and we’ve had graduation photos, family photos, so there are lots of photo opportunities in the sunflowers,” Tricia says, adding that corporate events and weddings also can be hosted at the farm’s 300-person facility, which features a classic rustic setting.